Project members, Castle Close Volunteers and local residents gathered to hear the end of project illustrated talk by Carenza Lewis. 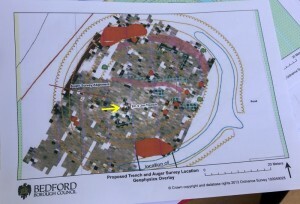 Since the site is a scheduled monument there were stringent restrictions on how much excavation was possible. 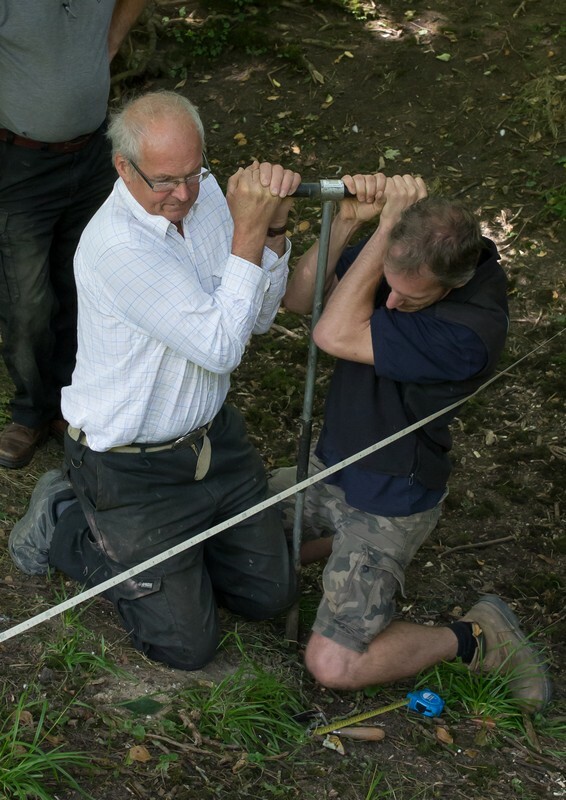 The 2m trench was dug over a period of three days and auger samples were taken across the banks and ditch. The focus was on the pottery findings and the possible interpretations of the data with reference to similar features in the Anglia area.